HOKKAIDO (TR) – Japan Coast Guard officials believe four unmanned wooden boats found washed ashore in Aomori and Hokkaido prefectures over the weekend possibly originated from North Korea, reports Fuji News Network (Nov. 12). 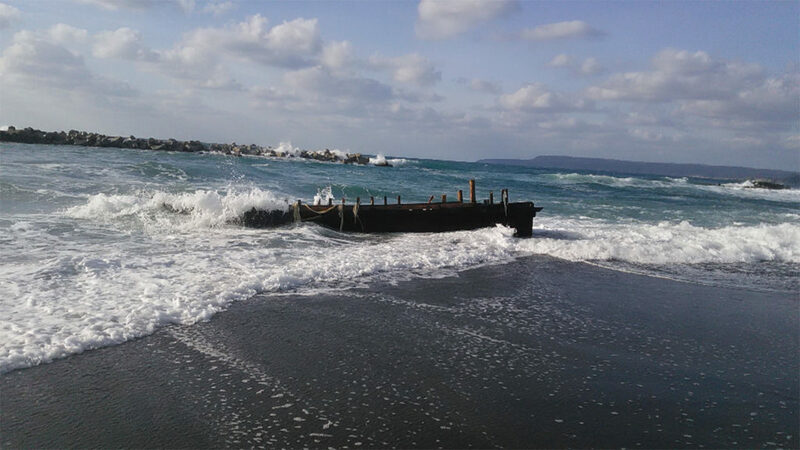 At around 10:20 a.m. on Sunday, a resident of the town of Fukaura in Aomori found one of the vessels — measuring 10.4 meters in length — along the shore about 500 meters from Kurosake Port. That same day, a similar vessel was found on the coast of Wakkanai City Hokkaido. According to the officials, no persons were found in the vicinity of either vessel. As well, hangul writing, which is the script of the Korean language, was found on the bows of both vessels. Also on Sunday and the day before, two other vessels likely from North Korea were found at Rebun Island and the town of Obira, Hokkaido, according to TV Asahi (Nov. 12). The sizes and shapes of the vessels were similar to other crafts that have washed ashore from North Korea in the past, the officials said. Water currents and winds regularly send ships whose engines have become disabled to the northern coasts of Japan. According to the Japan Coast Guard, a record 104 wooden vessels likely from North Korea washed shore in northern Japan last year. In 2016, the figure was 38. For Hokkaido, more than 30 suspected ships from North Korea have been found this year. The figure is five times that for the same period in 2017, the Japan Coast Guard said.